TOP FLOOR DIRECT BAY FRONT. 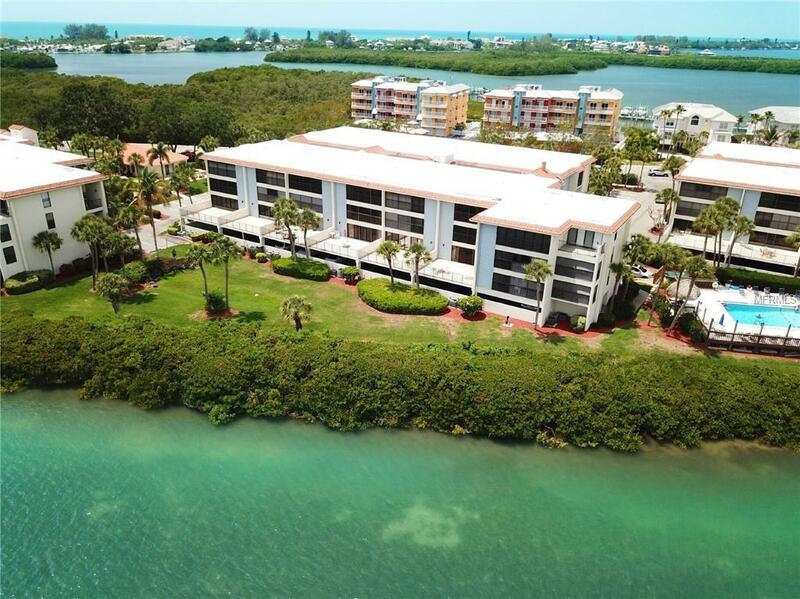 THIS UNIT HAS AN OUTSTANDING FULL BAY VIEW LOOKING FOR MILES AND MILES DOWN THE INTRACOASTAL WATERWAY. THE LANAI HAS BEEN ENCLOSED WITH GLASS SLIDERS AND THE SLIDERS THAT WOULD NORMALLY SEPARATE THE LIVING / DINING AREA FROM THE LANAI HAVE BEEN REMOVED FOR A MORE OPEN FEELING. THE KITCHEN AND BATHROOMS HAVE CORIAN COUNTER TOPS AND BOTH BATHROOMS HAVE UPDATED WALK IN SHOWERS. 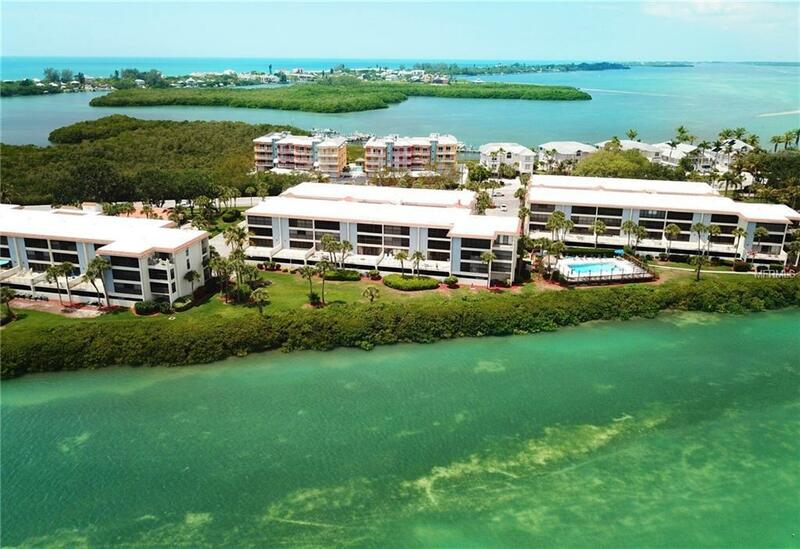 UNIT IS OFFERED UNFURNISHED, AS OWNERS ARE MOVING TO THE FT. MYERS AREA AND TAKING MOST OF THE FURNISHINGS WITH THEM. PRESENT OWNERS HAVE HOMESTEAD EXEMPTION AND HAVE OWNED THE UNIT FOR OVER 20 YEARS. 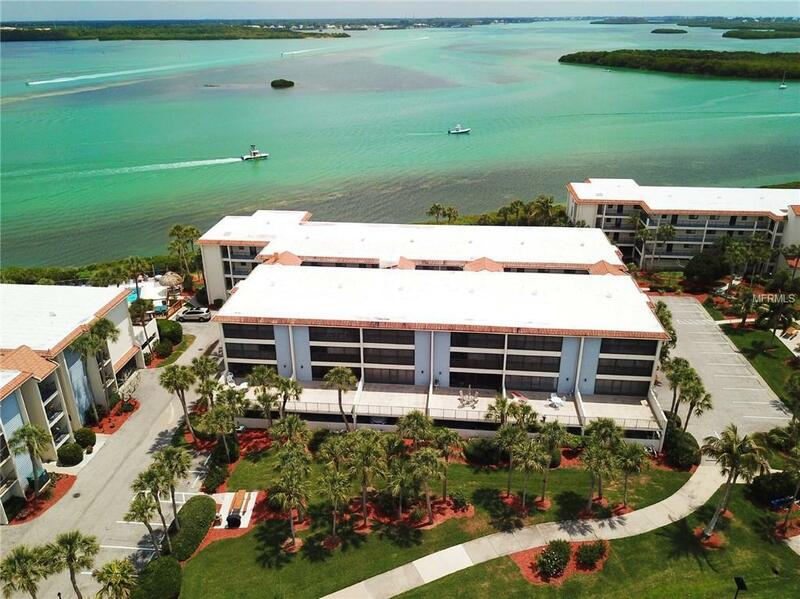 THERE ARE TWO HEATED BAY FRONT POOLS AT SANDPIPER KEY, AND YOU HAVE A RESERVED UNDER BUILDING PARKING SPACE AND AN ELEVATOR FROM THE PARKING AREA TO YOUR FLOOR. THERE ARE SEVERAL PICNIC AREAS THROUGH THE 15 ACRES OF MANICURED GROUNDS WITH PROPANE GRILLS AND PICNIC TABLES, AND THERE IS ALSO A CLUBHOUSE WITH MANY SOCIAL ACTIVITIES. IF YOU ARE A BOATER, THERE ARE 60 PRIVATELY OWNED BOAT DOCKS ACROSS BEACH ROAD AND THERE ARE NORMALLY DOCKS AVAILABLE TO PURCHASE OR RENT. 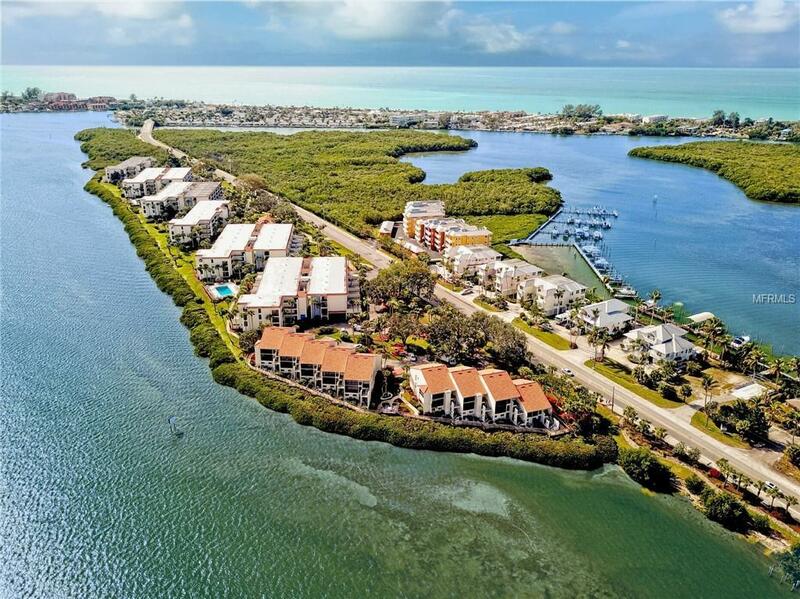 IT IS ONLY ABOUT A 15 MINUTE WALK TO SEVERAL GOOD RESTAURANTS, LIVE ENTERTAINMENT, BEACH SHOPPING, WATERCRAFT RENTAL AND A CONVENIENCE STORE. Pet Restrictions Pets Must Be On Leash When Outside Your Unit And You Must Pick Up After Pets And Dispose Of Waste in Designated Areas.